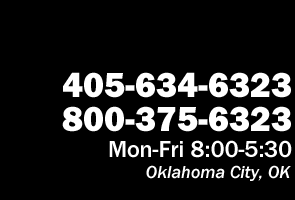 For the Most Complete Parts Search & the Lowest Prices on Auto & Truck Parts in Oklahoma City... Call Our Parts Experts Live! Whether you are searching for low mileage used engines, transmissions, mechanical parts, used OEM auto body parts, used tires and wheels, new aftermarket replacement parts, remanufactured parts or almost any other type of late model parts, allow our friendly staff to instantly quote the best prices on highest quality parts for your car, truck, van or SUV! They will help guide you not only to the best prices but also the correct replacement parts to fit your domestic or foreign vehicle. Some in-stock or readily available parts may not be currently accessible via our online Inventory Search Tool. We encourage you to call our friendly and knowledgeable sales team for the most complete auto parts search, the best prices and the best fit for you and your vehicle. Wilson’s Used Auto Parts is a top rated local auto salvage yard in Oklahoma specializing in high quality used auto parts for cars, trucks, vans and SUVs of all makes and models both foreign/import and domestic. 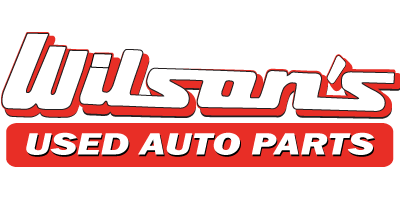 Wilson’s Used Auto Parts offers some of the best prices on new aftermarket parts, used and recycled auto parts as well as remanufactured parts. Find low mileage used engines, transmission and mechanical parts, new and used auto body replacement parts, a huge selection of used tires as well as new and used wheels. Wilson’s locally serves Oklahoma City, Edmond, Norman, Yukon, Choctaw, Tulsa, and more. Wilson’s Used Auto Parts also buys all types of used, wrecked, salvage and junk cars for selling parts and recycling. Search for local used auto parts for sale in Oklahoma City, OK.